If you haven’t been out to New Hampshire in the last few years, you’re missing out on a complete gem of a course in Manchester. Named The Hollows, it’s one of the courses that Dynamic Discs’ very own Eric McCabe designed from start to finish. In an area that once had few disc golfers around, their local club now numbers over 140 members and The Hollows sees between 20,000 and 25,000 rounds played per year. 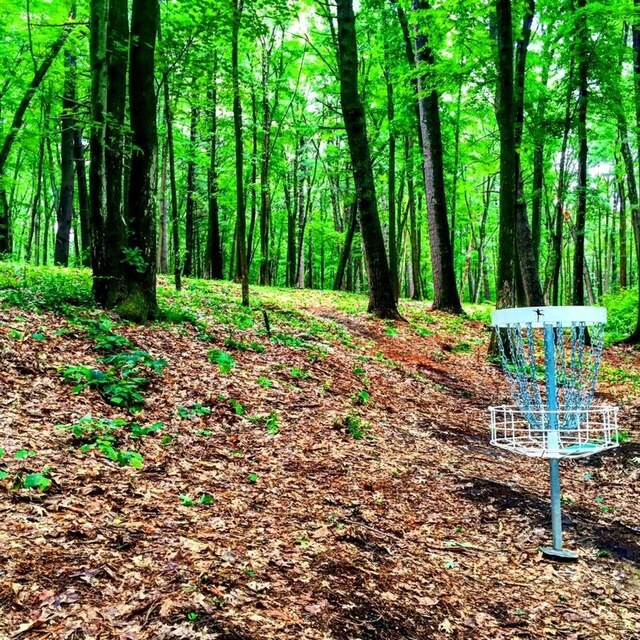 How did a course that’s only two years old completely revolutionize Manchester disc golf and bring revenue to the community’s restaurants and hotels via tournament play? We spoke with the Director of the Parks and Recreation department in Manchester, Don Pinard, to get an idea of how The Hollows came to be. Don began his research and formed an acquaintance in Bill Bruce, owner of Breakin Chains Disc Golf Supplies. As a first time player, Don traveled to a nearby community to play a round and was instantly hooked. He saw the obvious link between offering free recreation for all and the benefits a course could bring to his local area. What Was It Like Working With Dynamic Course Design? Eric flew to Manchester to work with Don and figure out where the new course would take shape. Pinard had three locations in mind but kept his preference to himself while Eric surveyed the possibilities. In the end, McCabe selected Don’s first choice, and the designing phase instantly began. The goal was to create a course that wasn’t just enjoyable on a recreational level, but one that could host top level tournaments. Taking this into consideration, Eric’s design included two pin positions on all but one hole as well as two tee pads on many holes. After the ground had been flagged, it was up to Don, Bill and wife Norma Bruce, Parks Department employees, and numerous volunteers to bring the course to life. The Hollows was the first course in the US to feature first run Veteran baskets, but these were later swapped out for the newer version. Not only is this course a premier destination for New Hampshire residents, but Eric designed it to be especially versatile. Using the various pin placements and tee pads, Don says the course can be played four ways. It utilizes a tight and technical tract of wooded land and even has separate teeing areas specifically for junior and beginning players. 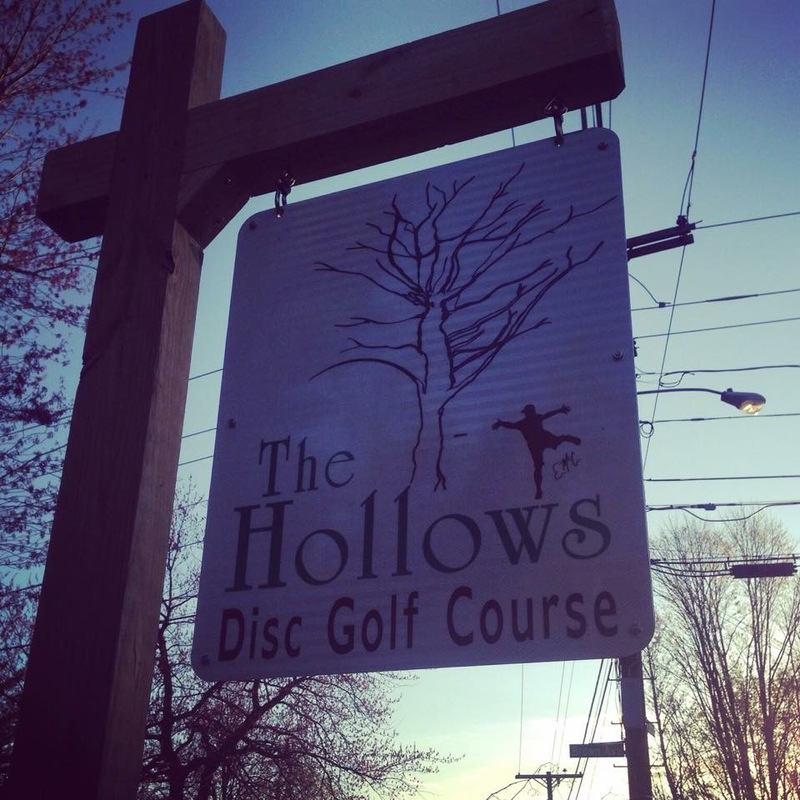 The Hollows has been such a success that Don is currently planning the installation of a second course in the area to meet the high demand of Manchester disc golfers. 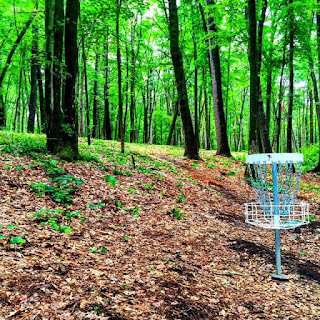 Could your community benefit from installing a disc golf course? We’d bet it probably can. Contact us at Dynamic Course Design to learn more. The course is great, the Bruce's are fantastic at what they do and their enthusiasm for the sport is what is driving all of this.